Whether you know it or not, a debate exists: single vs multifamily investing has both allured and confounded investors for quite some time. Each side swears theirs is better than the others, and for good reason. 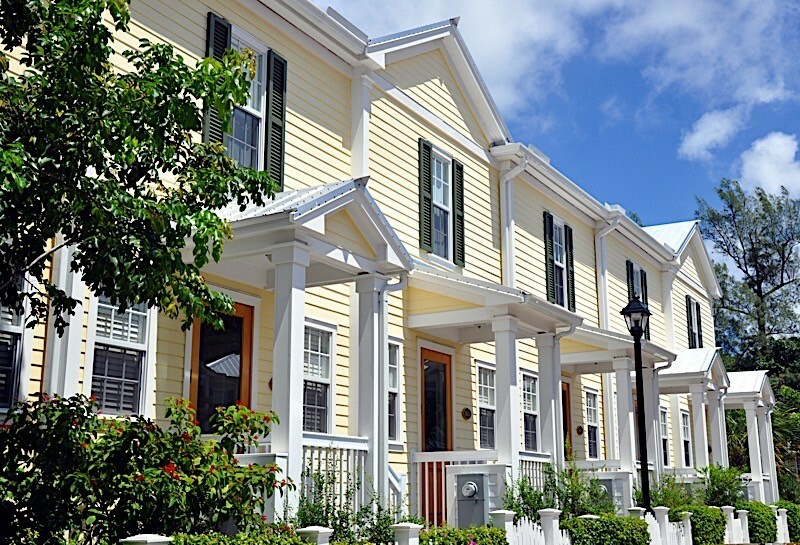 Both single-family and multifamily investing have their place. It’s up to you, however, to determine which is right for your own business. The real estate investing landscape is as varied as it is opportunistic, which is why many would claim they got into the industry in the first place. Not only are lucrative opportunities to be had by those willing to put in the legwork, but the opportunities themselves come in all sorts of different shapes and sizes. Whereas one investor may have made a comfortable living off of wholesaling properties to would-be rehabbers, another could be more inclined to collect income of the passive variety with buy and hold assets. Point in case: there is more than one way to make money in real estate. Several exit strategies in which investors may make a very comfortable living thrive in today’s market environment. Fortunately, the single vs multifamily investing debate is more exciting than intimidating. And I advise those who care to learn who comes out on top to continue reading. So, without further ado, let’s get to the thing we are all here for: single vs multifamily investing. The case can be made for both sides, but the choice is really up to you and what you want your business model to look like. Each can be extremely beneficial to your real estate business, so it’s up to you to decide which one works best for your particular situation. For those of you less familiar with the practice of single-family real estate investing, it’s name does a great job in summing everything up: single-family real estate investing simply refers to those investors whose assets are defined as free-standing residential dwellings built on a single lot with no shared walls. In other words, single-family homes are the ones in most suburbs across the United States. But what do these homes offer real estate investors that multifamily properties don’t? First and foremost, single-family homes are usually less expensive to acquire than multifamily properties for obvious reasons. However, not only do single-family homes tend to come with a lower price tag, they also tend to need less of a down payment. With the right loans, those looking to buy a single-family home don’t even need anywhere near 20 percent. According to FHA.com, some loans may be acquired for as little as 3.5 percent down. Multifamily homes, on the other hand, typically want to see a down payment of somewhere in the neighborhood of 25 to 30 percent. And while we are at it, single-family homes coincide with cheaper insurance rates. If that wasn’t enough to get you excited about single-family homes, it’s also worth noting that they usually appreciate at a better rate than their multifamily counterparts. There are a lot of reasons for this, but the most prominent one is demand. There is currently a lack of single-family housing across the country. And, as I am sure you are aware, supply and demand suggests prices will increase when inventory falls and demand rises. Coincidently, that’s what we are currently witnessing in today’s market landscape. On top of all that, single-family homes are simply easier to manage as a real estate investor. Consider this: Multifamily homes have multiple tenants, which usually amounts to more work for the landlord, unless you hire a property manager of course. Single-family homes, on the other hand, are just that: meant for a single family. Now that I have probably sold you on single-family homes, it might be hard to sway you on multifamily investing. Or will it? If for nothing else, there is a single vs multifamily investing debate for a reason. In reality, each holds their own weight very well. While I have already outlined some of the greatest single-family benefits, let’s take a look at what multifamily properties have to offer. Whereas single-family real estate investors are stuck relying on one tenant per property, multifamily units can bank on multiple tenants. At the very least, more leases means more rent coming in. If a single-family property generates a single monthly income, why not invest in a multifamily property producing multiple forms of monthly income? In its simplest form, multifamily investing awards investors the ability to collect multiple rents from under one roof. What’s more, and new investors should take note, you may decide to live in one unit while renting out the others. In a healthy market, there is no reason to believe the income from the other tenants wouldn’t pay for your own mortgage. While single-family homes are generally regarded as easier to maintain, multifamily homes are not far behind. There are certainly more units to maintain, but that’s where the differences end. As a multifamily home, big ticket items are usually shared. So while you may have four units, there is a good chance they all share the same roof, plumbing system, yard, driveway and plenty of other amenities. When it comes down to it, multifamily properties aren’t as much work as any people initially assume. I maintain that the greatest advantage of investing in multifamily properties is that you refrain from putting all of your eggs in one basket. More specifically, multifamily landlords are less likely to lose all of their cash flow than single-family landlords. In the event one tenant moves out of a multifamily home, the remaining tenants will usually carry the load. However, when single-family tenants move, the vacancy weighs a lot heaver on owners. The next time you find yourself deliberating over the single vs multifamily investing debate, consider what I said here. It’s not so much about which one is better, but rather which one is right for you and the direction you want to take your company. Weigh these advantages carefully and decide for yourself which one will take you where you want to go.